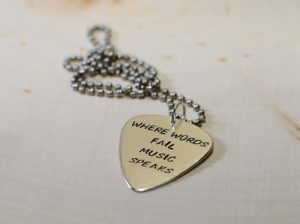 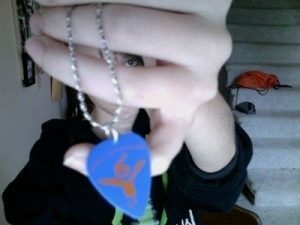 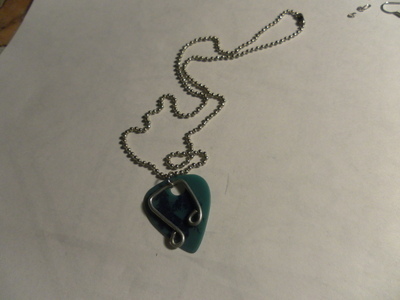 Could you imagine the different ways in which you could shape your guitar picks into fashionable necklaces? 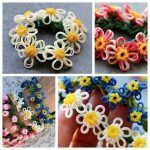 So if you possess an undying passion for playing the instrument, and have many old guitar picks lying on your shelf, get into action by designing some enticing necklaces out of them, with the following tutorials being your guide. 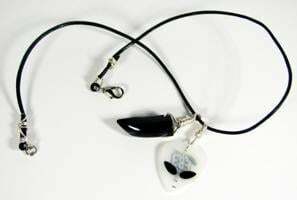 This glow in the dark skull necklace would be a wonderful accessory choice for Halloween. 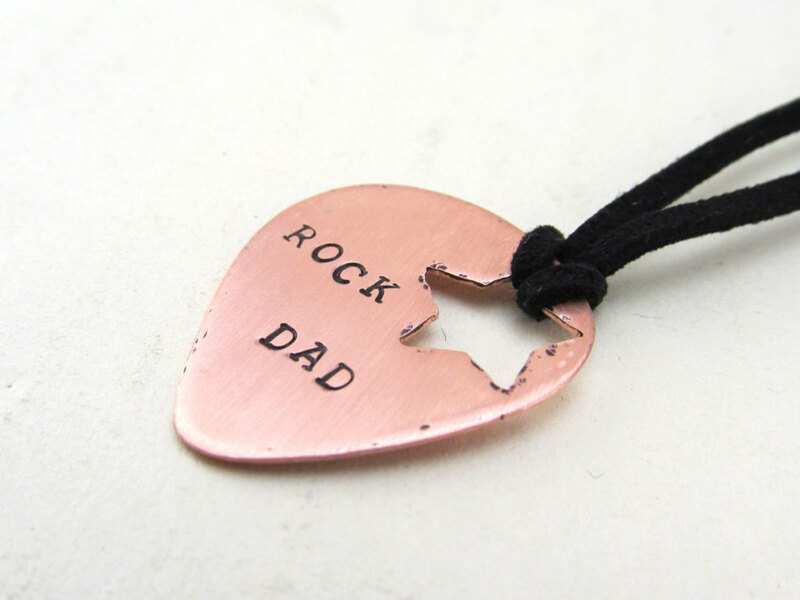 If your father is a guitar enthusiast, he would simply be over the moon when gifted with this amazing necklace on Father’s day, bearing a thoughtful message. The metal enclosure serves as a perfect holder for your guitar pick. 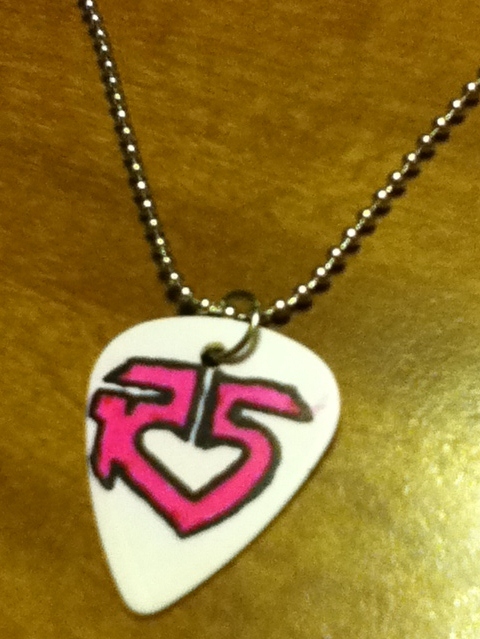 If you would love to have the R5 symbol sitting on your necklace, then take a cue from the given video to make a necklace like the one shown in the picture. 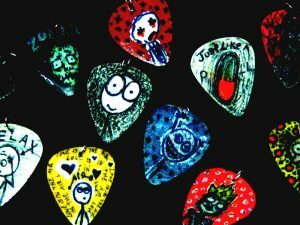 If you do not have a guitar pick handy, you can make one using old CDs or credit cards. If you are a musically inclined person, then you may prefer choosing the “I Pick You” theme to grace your guitar pick. 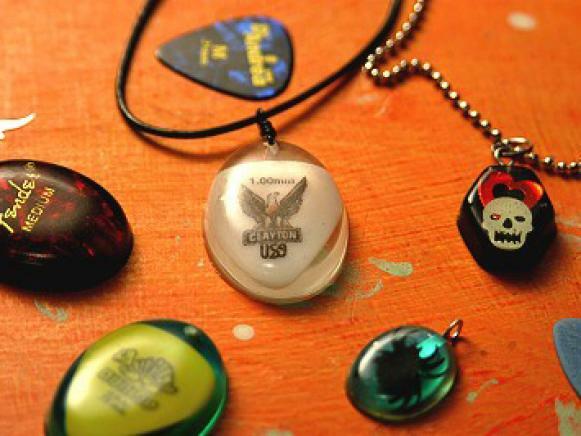 You can even opt for any other theme based on the logo, name or even lyrics of the popular songs of bands like Pink Floyd, Guns n Roses, Owl City, Black Veil Brides, Linkin Park and so on. 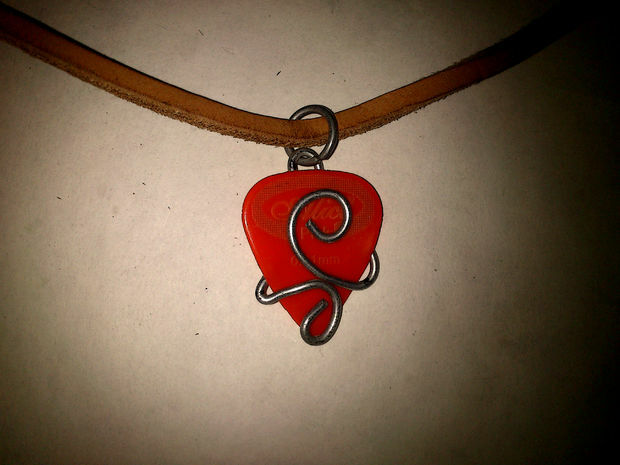 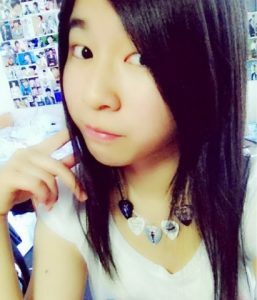 Following the instructions of the tutorial as mentioned above, you can also make a guitar pick necklace of other themes that express your thought process the best, probably like the one shown in the picture below. 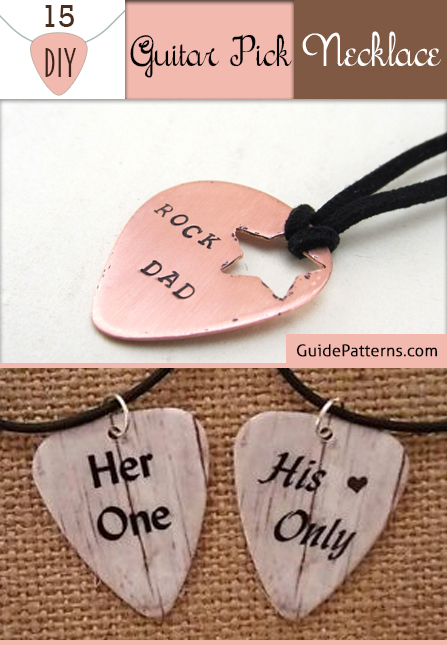 Here is another example of two cute necklaces for couples, following the same engraving pattern. 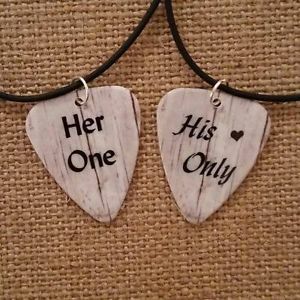 If you have managed to get hold of a guitar pick with thoughtful messages, bringing out the essence of Christianity, then make it into an elegant necklace and give away as gifts to your beloved ones. 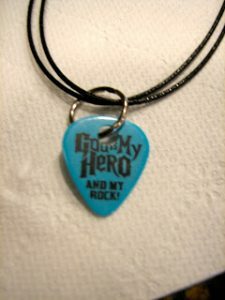 You can also engrave a verse from the Bible or have the words “Jesus” inscribed on it by following the instructions in the tutorial given above. 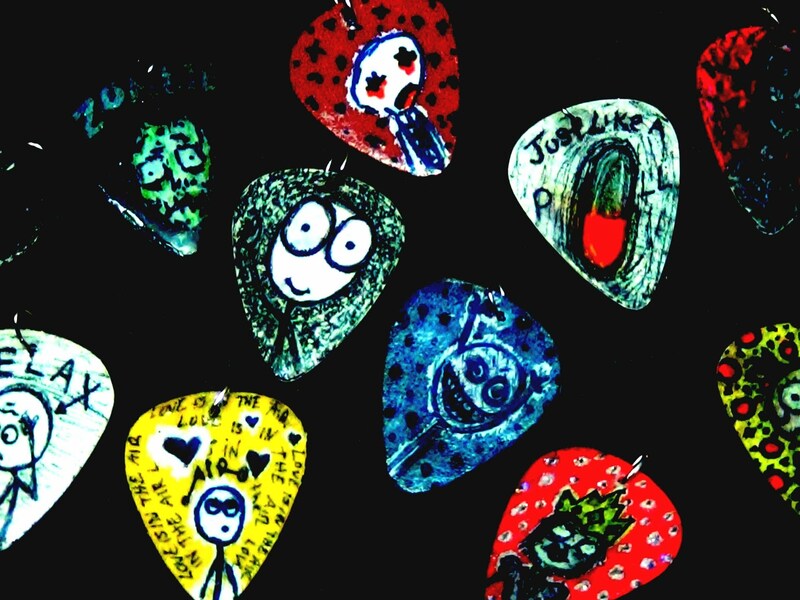 These loud designs would be an apt guitar pick necklace choice for guys. If you are an MJ fan, then this tutorial would be of immense utility to you. 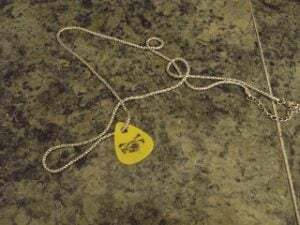 You can even design a necklace out of a purchased guitar pick with a photo or initials of any other rock singer you swear on like Bon Jovi, Justin Bieber, Jimi Hendrix, and the list continues. This tutorial gives you an insight into making some stylish necklaces not just with guitar picks but other items as well. 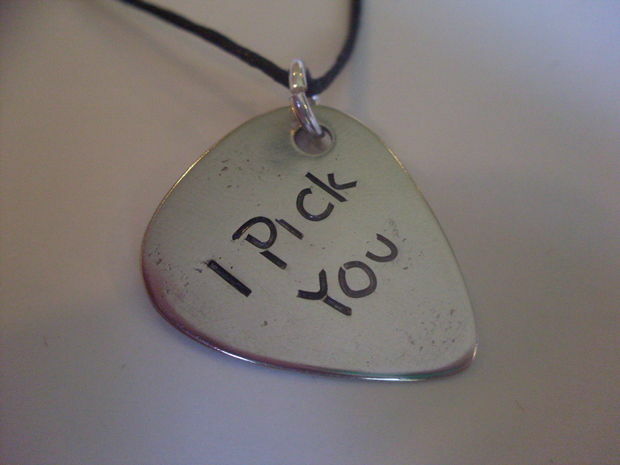 So with an ample of interesting ideas sitting in your kitty, you would certainly be able to design a variety of guitar pick necklaces for yourself, your musically-inclined kid, you rockstar boy friend or anybody else.